* The tough stainless steel frame and the thick Plexiglas top team together to provide a durable tool for years to come. 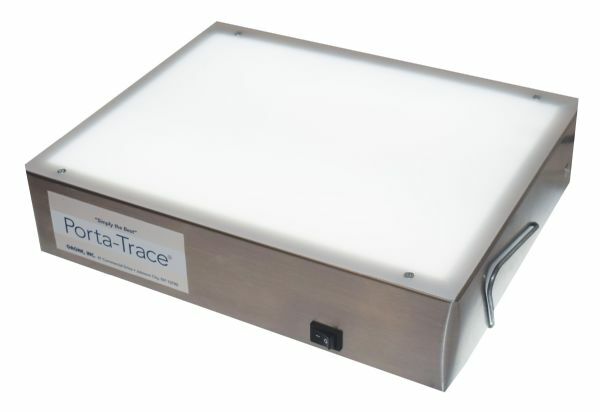 * Porta-Trace light box provide bright, even light and virtually eliminate hot spots. * UL listed cord and on/off switches. 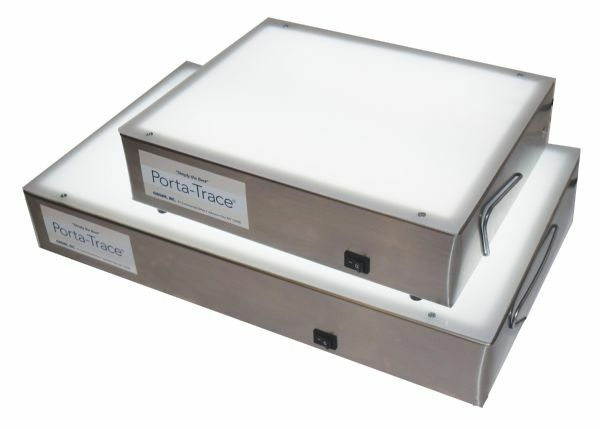 * All models have color-corrected lamps except PT1012-1 which is designed for crafts. * Perfect for drawing, tracing, embossing, calligraphy, viewing, or presentations.